Happy Thanksgiving to you and your family Gini! I hope it is a beautiful day for all! Hugs! Cheryl, Betty and Carol ~ Thank you and a very happy Thanksgiving to you and your families . . . I do a Thanksgiving breakfast each year . . . it's been nice hanging out . . . I'm already stuffed! The breakfast casserole, zucchini bread, cinnamon rolls all came out so good . . . need to leave room for turkey dinner! 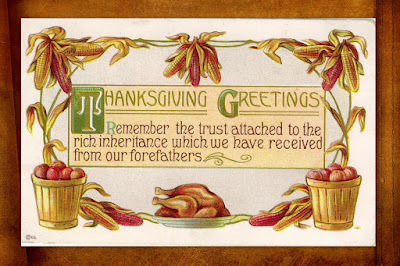 Happy Thanksgiving to you Gini, and your family. My meal is over, and soon the day, but I hope you enjoy the hours you have left. Thank you, Barbara, it's been a very blessed day. Happy Thanksgiving to you and yours also.